Everything beacuse I love linen very much. 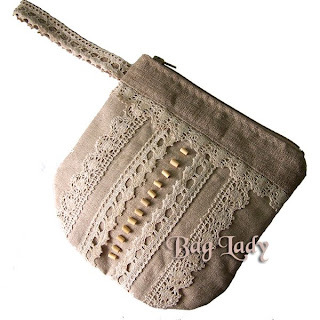 Small cluth, really wristlet bag with linen laces and wooden beads. Is lined with two poctets. Yes, I dream about summer now, now when no spring yet! So nice and romatic. Linen is a wonderful fabric. I like "primitive" materials so maybe will make more linen bags. Thank you for nice words!